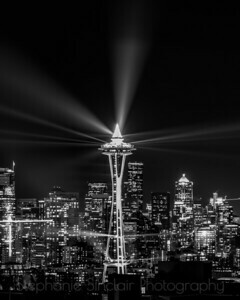 All eyes were on the Seattle Space Needle during a NYE laser show. What a sight! 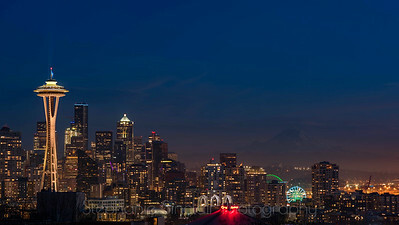 Seattle is stunning during blue hour. I love the wide curvature of this photo. This is a 1:2 ratio and looks best on metallic paper or on metal. If you'd like acrylic, please email me at seattleempress@gmail.com and I will special order it through another lab. 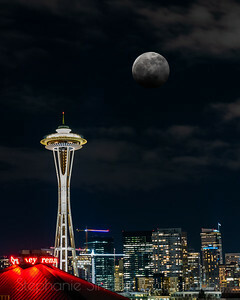 A composite of the super wolf blood moon eclipse as it entered the eclipse and the sparkling city of Seattle. Both shots were taken at the same time, but since the moon was so far overhead, a composite was needed. Taken on a rooftop with the moon at 500mm and the city at 50mm. January 2019. The NYE lightshow from the Seattle Space Needle was quite a sight! This black and white shows it off like a diamond in the sky. This is very dramatic as a metal at 10x20, 20x40 with high gloss. 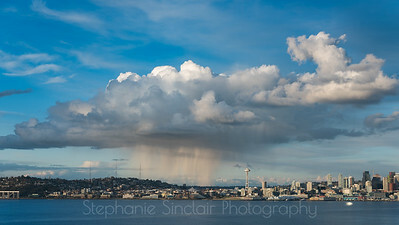 A stunning display at the Seattle Space Needle this year! 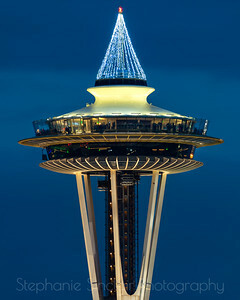 I couldn't wait until the Space Needle had their tree lit! 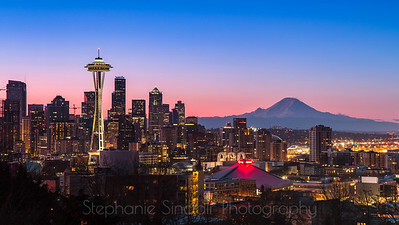 Beautiful Seattle on a crisp winter's morning. 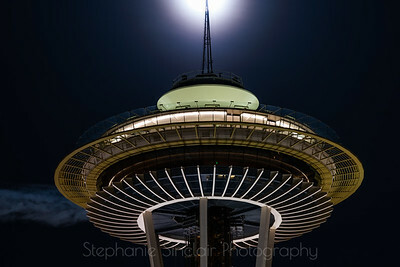 The Seattle Space Needle under the Super Moon light. She's a beauty. 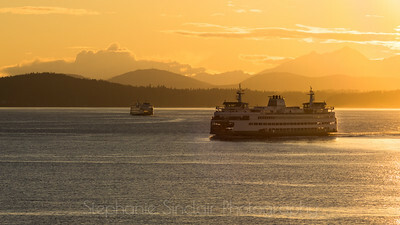 I love autumnal sunsets in Seattle! The sky puts on quite a show! This is stunning on metallic paper! The watermark is for copyright purposes and will not be printed on the photo. 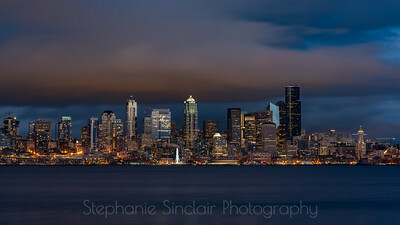 Seattle shines at Blue Hour! Mt. Rainier is still visible even as dusk falls. 10x18 on metallic is perfect! 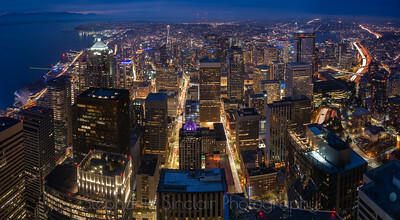 Blue hour panorama of my favorite city. My favorite holiday city shot, revisited. 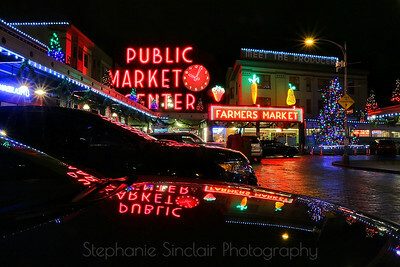 Seattle just sparkles during the holidays! 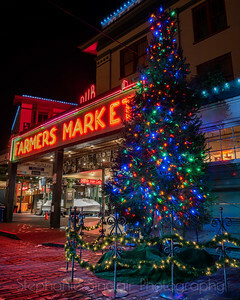 The Farmer's Market Christmas Tree. 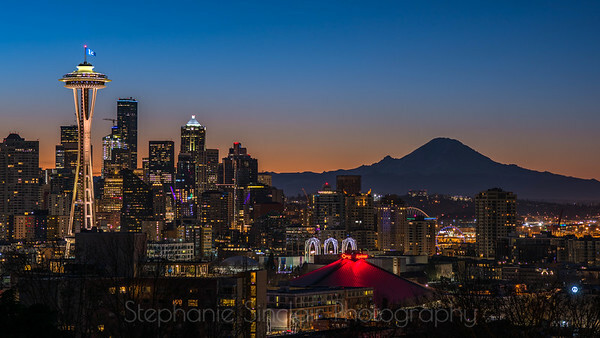 Seattle is stunning during blue hour. 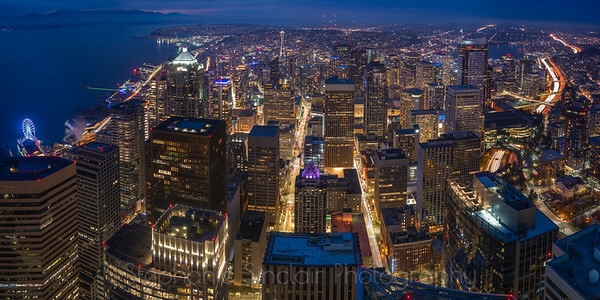 I love this view from the 73rd floor of the Columbia Center. 3-shot panorama, Zeiss 25mm. Works with sizes 10x18, 15x27, 20x36 in "other sizes" category of paper prints. Looks best on metallic paper. I have also uploaded a 1:2 ratio of this shot. 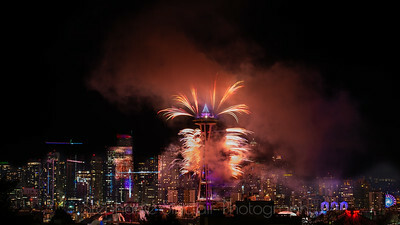 The NYE lightshow from the Seattle Space Needle was quite a sight! This black and white shows it off like a diamond in the sky. This is very dramatic as a metal at 10x20, 20x40 with high gloss.